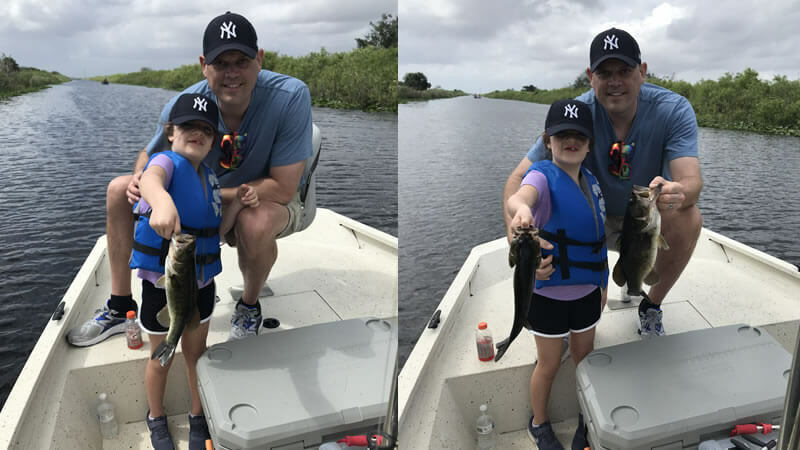 Florida is a great place to come on vacation and experience the great outdoors. The warm months of the year provide you no choice but to engage in some of your favorite water activities. Hop on board one of our fishing vessels and get the cool breeze in your face. 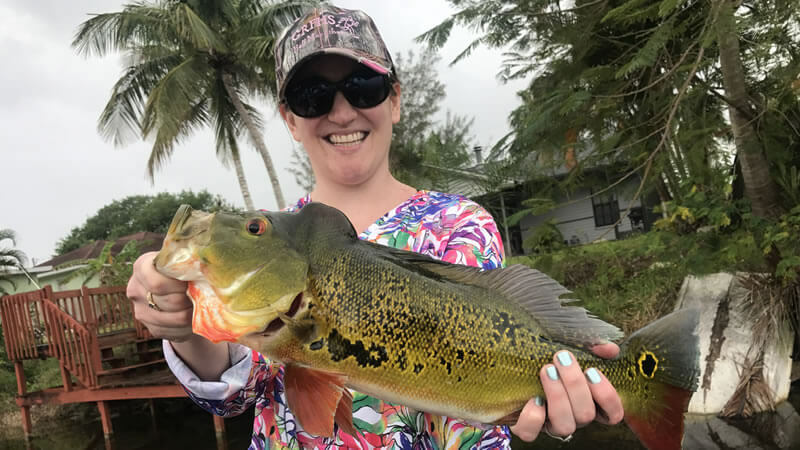 Enjoy an epic peacock bass fishing charters next time visiting Miami, FL. Our local experts spend endless hours and days determining where the bass are and where they move. They want you to have the most incredible day of bass fishing. Captain Robert Miley is our expert and professional that knows the backwaters of Miami like no other. 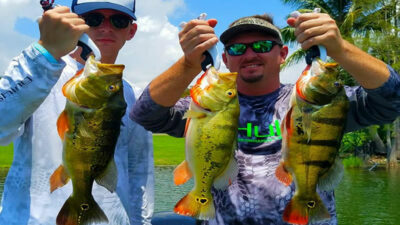 If you are looking to catch the fish of a lifetime Miami is the way to go! Captain Miley had the pleasure of fishing with Matt and his best friend Samuel. They were traveling from Louisiana looking to have some fun in Miami. Peacock bass fishing was on the menu as they enjoyed freshwater fishing. 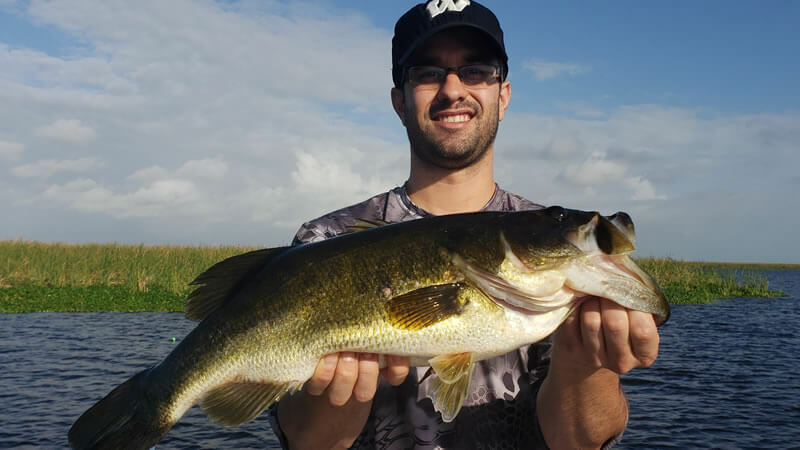 The Falls Canal System is the best location in Florida to catch peacock bass. A quick 6 hour fishing trip is all you need to get in on some incredible action! Fishing conditions were hot during these late summer months. Water temperatures were at 89 degrees and air temperatures reached 95 degrees. Even with these conditions, these gentlemen put a Cajun smack down on some peacock bass. The bass were extra aggressive on this trip and they saw a lot of quality action. Matt and Samuel put 20 nice peacock bass in the boat with several reaching trophy capacity. 5 of the bass were between 4.5-5 pounds. It is always great when the fishing is this amazing. In order to have this success, you have to get your baits to the bass and fish them slow. Domestic shiners are also the best way to go. Captain Miley is looking forward to fishing with these gentlemen again in the future! 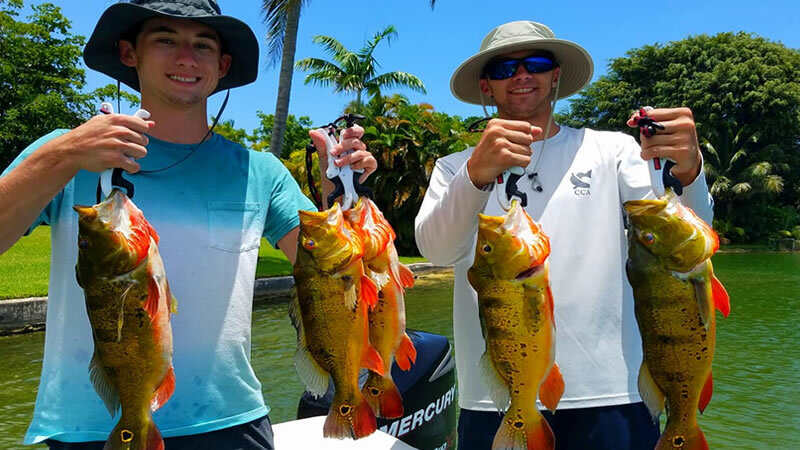 Just shortly after, Kevin and his son Dylan adventured out in Miami to catch peacock bass. They were traveling from North Carolina looking to get hooked up. 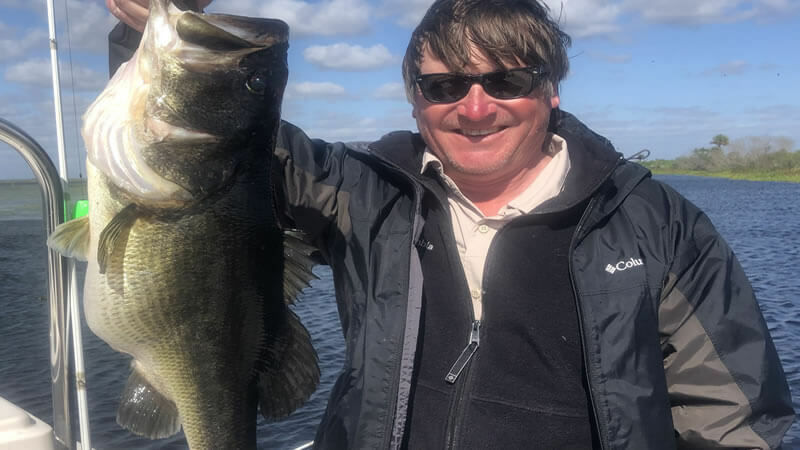 It was another amazing day on the water with several quality bass on the boat. 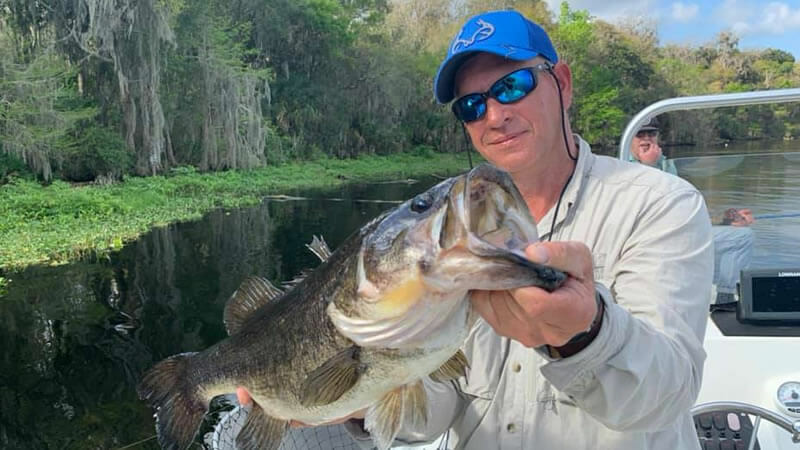 The Falls Canal System is a very productive peacock bass fishery all year long. Sometimes when you go fishing, the bass aren’t going to be in one spot. You have to move around and find the fish the best you can. Conditions were hot and steamy on this fishing trip as well. The bass were down deep along the edges. When you fish for them slow, you will have the best chance to catch some the bass you are looking for. Kevin and Dylan had an absolute blast catching 15 quality peacock bass. The biggest weighed 3.5 pounds which is a really nice peacock bass. This was Kevin’s bucket list trip and he was really glad to have the ability to share this moment with his son. Just to get to see them both catch some nice fish was the best part. Captain Miley is looking forward to fishing with them again in the future! Don’t miss out on your adventure to come visit Miami and catch the bass of your dreams. Action stays great all year round! We are looking forward to seeing you on the water next time! !